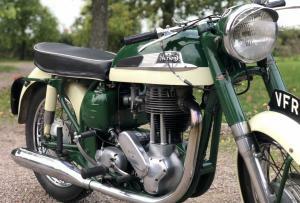 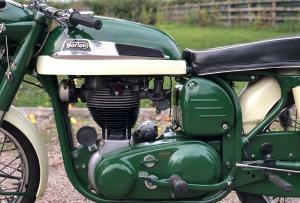 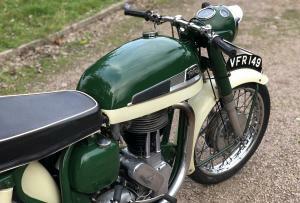 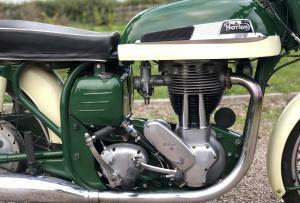 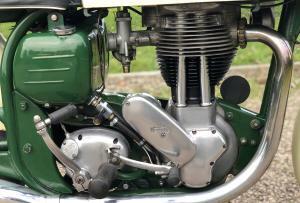 Norton ES2 1961 Slimline 500cc. 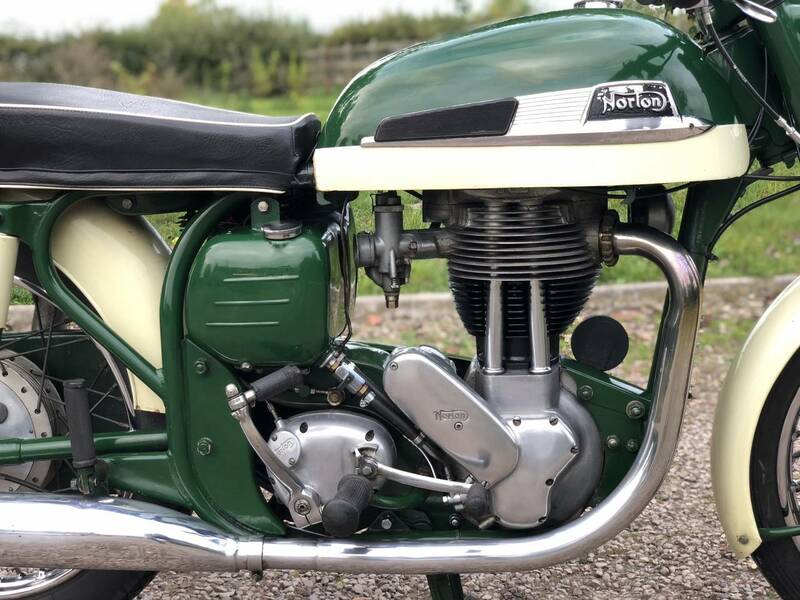 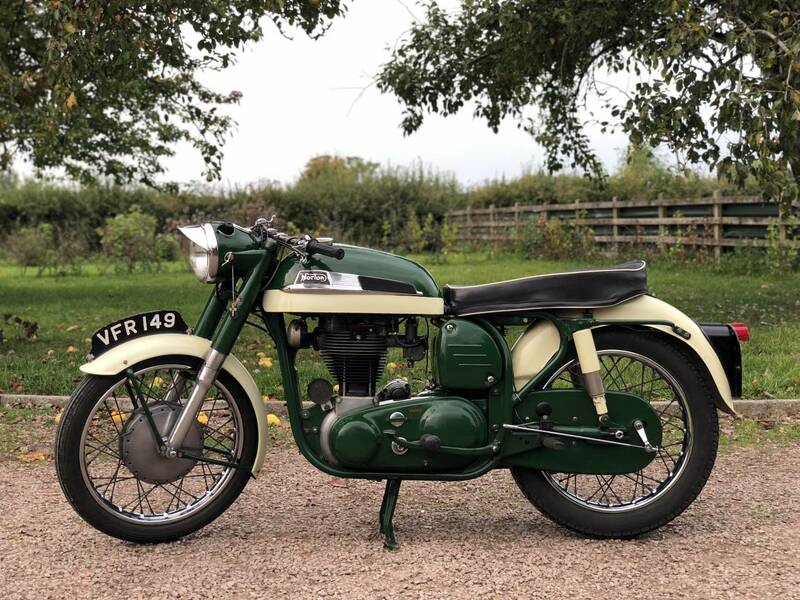 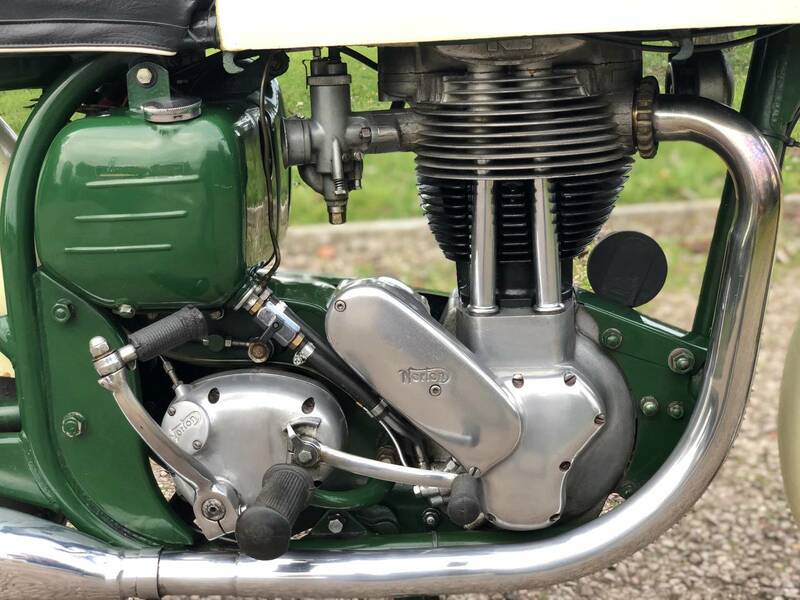 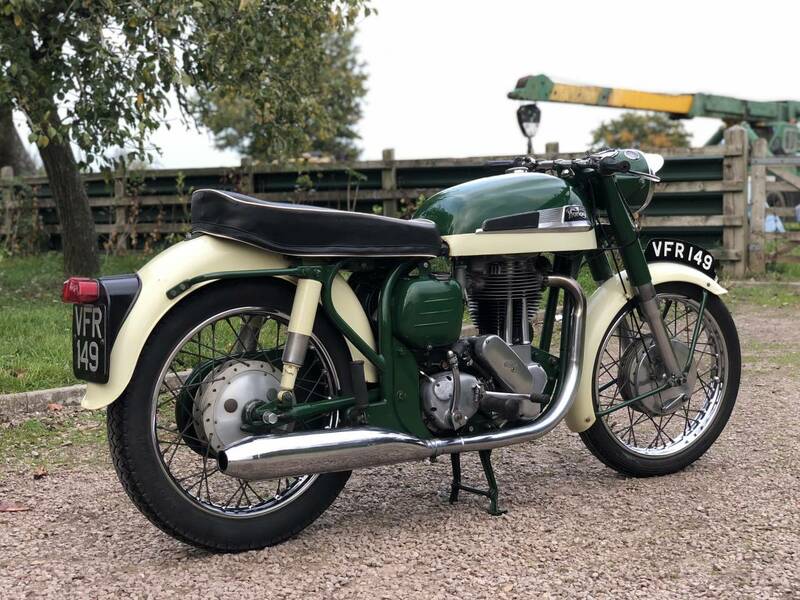 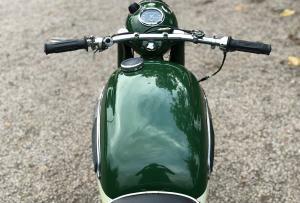 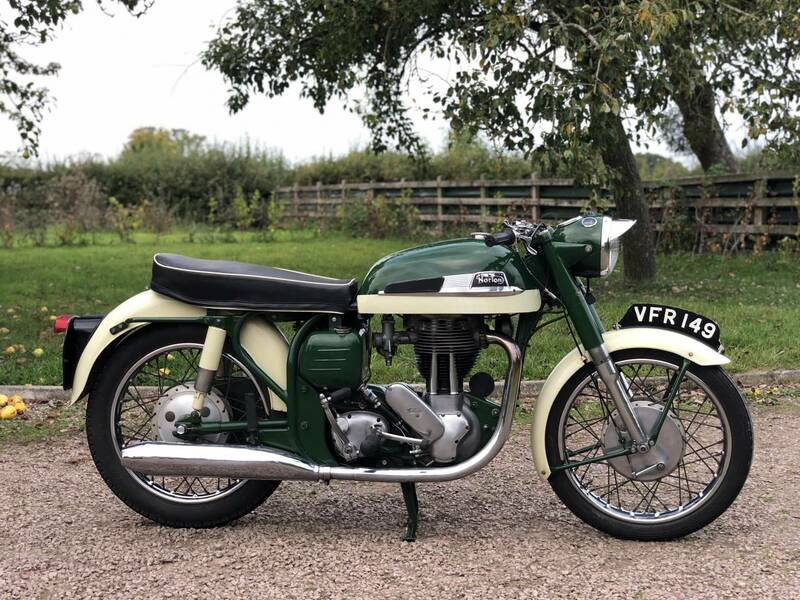 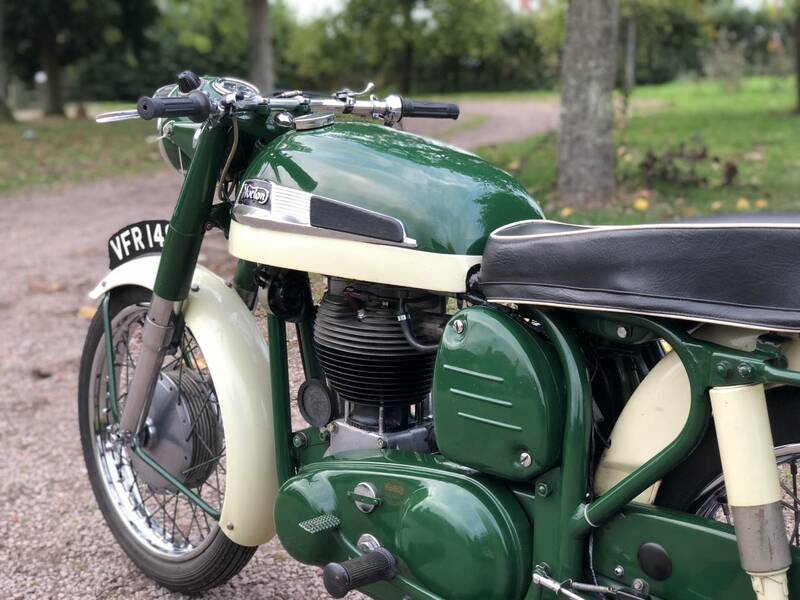 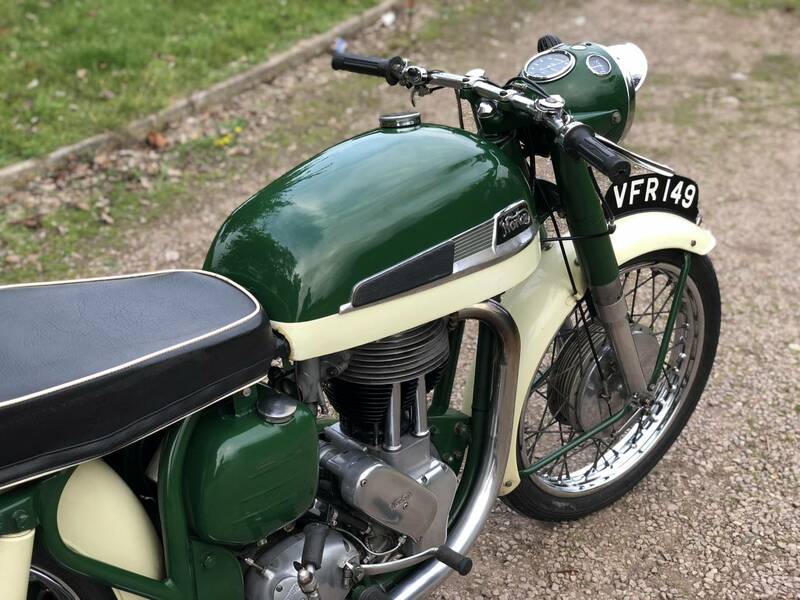 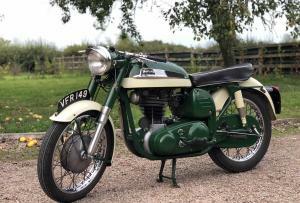 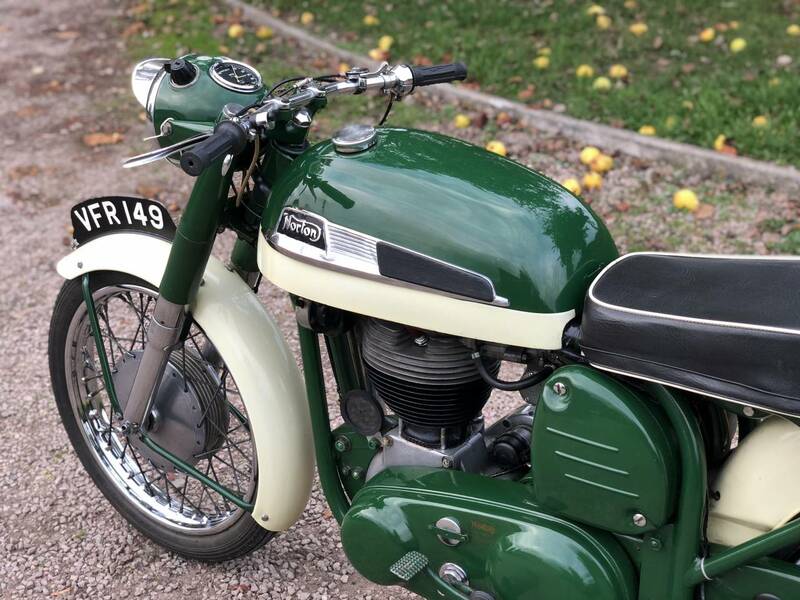 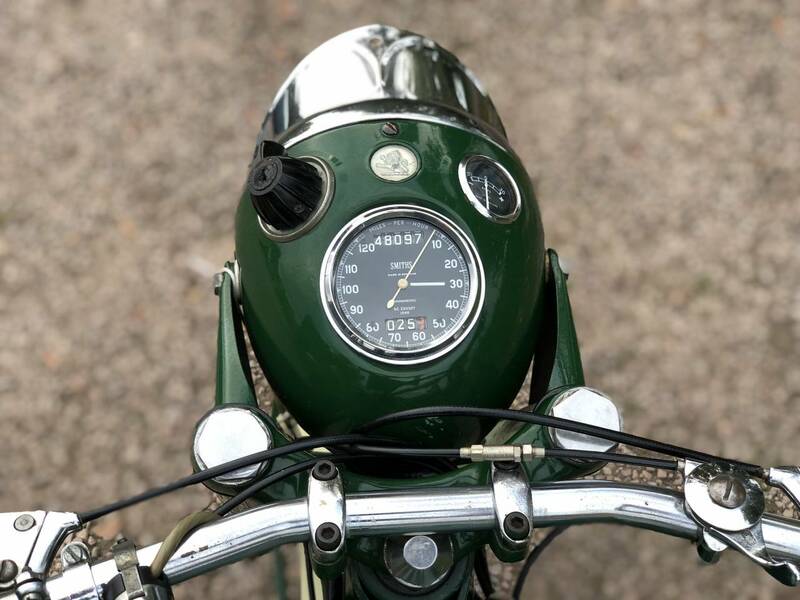 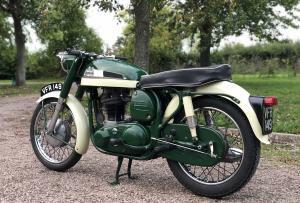 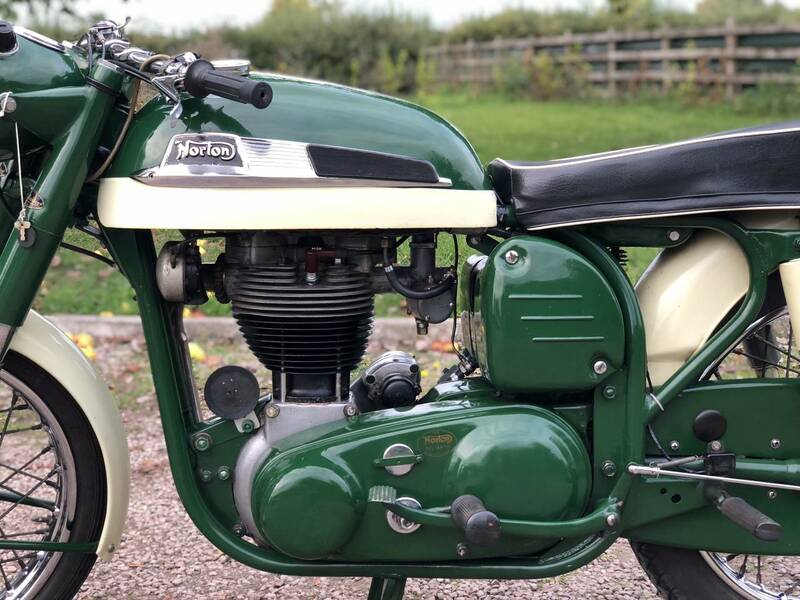 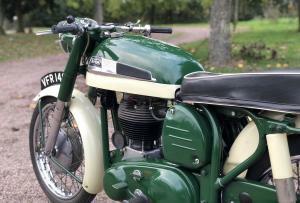 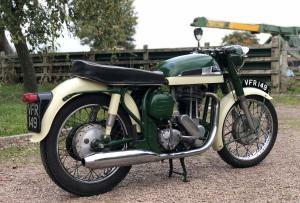 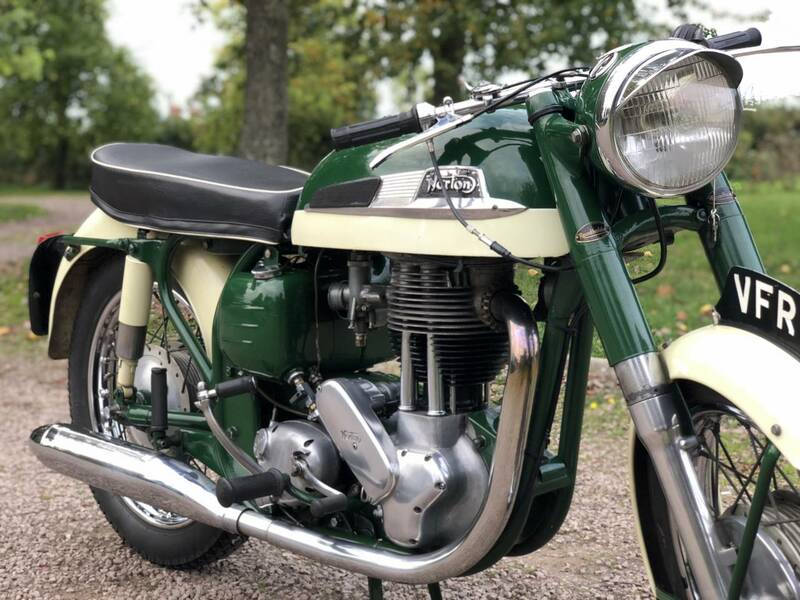 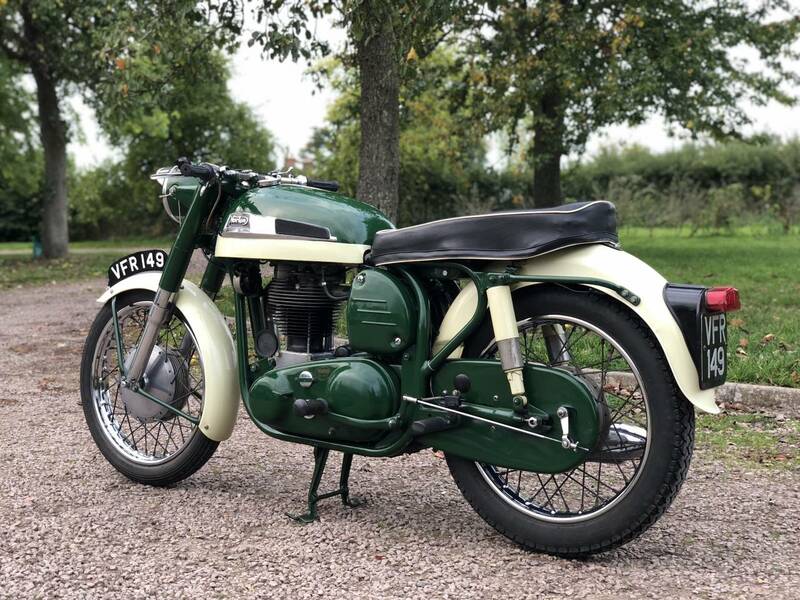 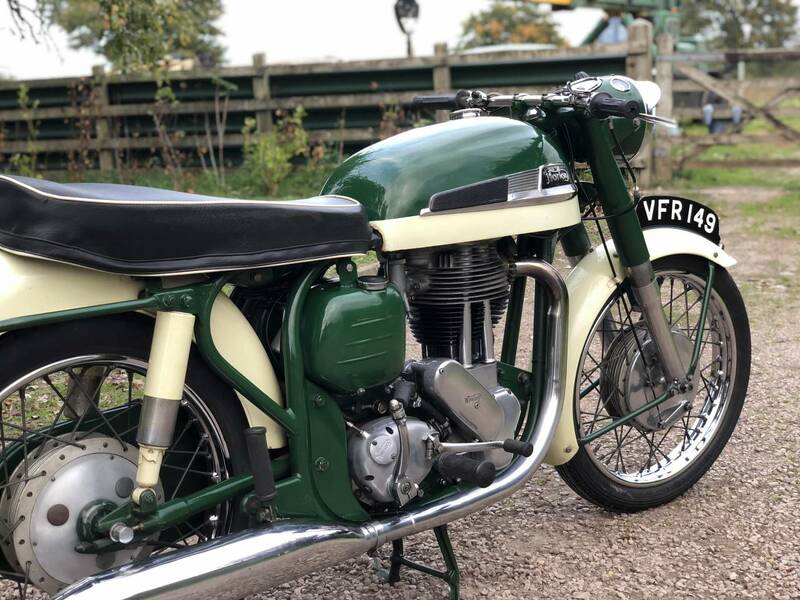 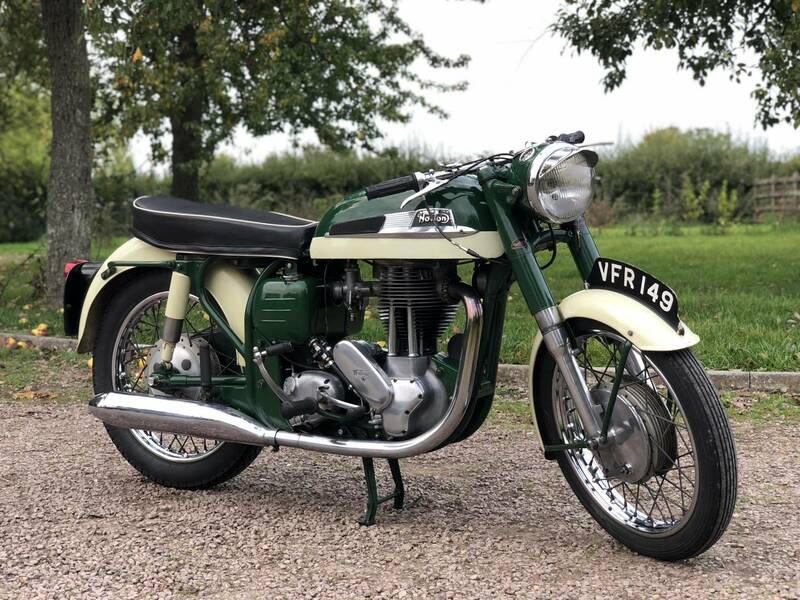 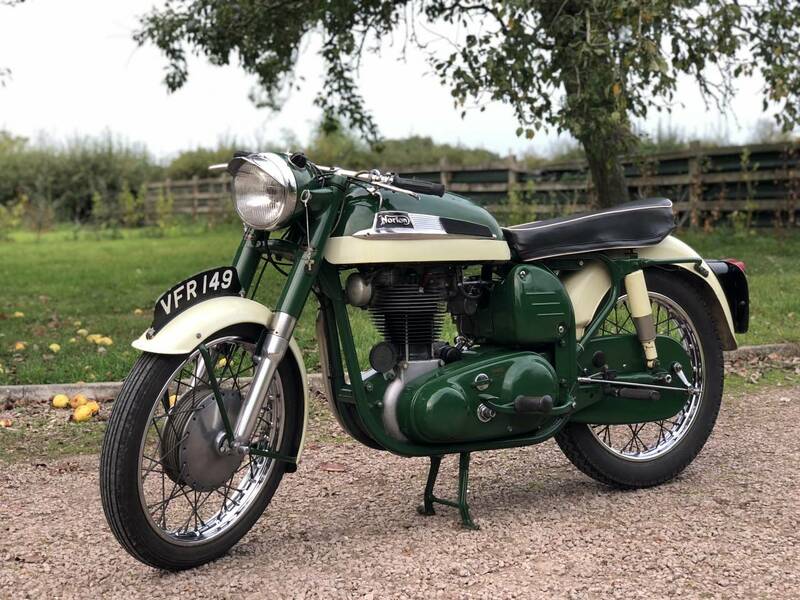 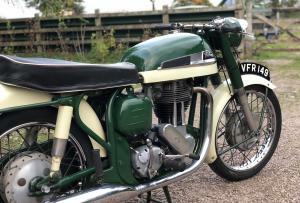 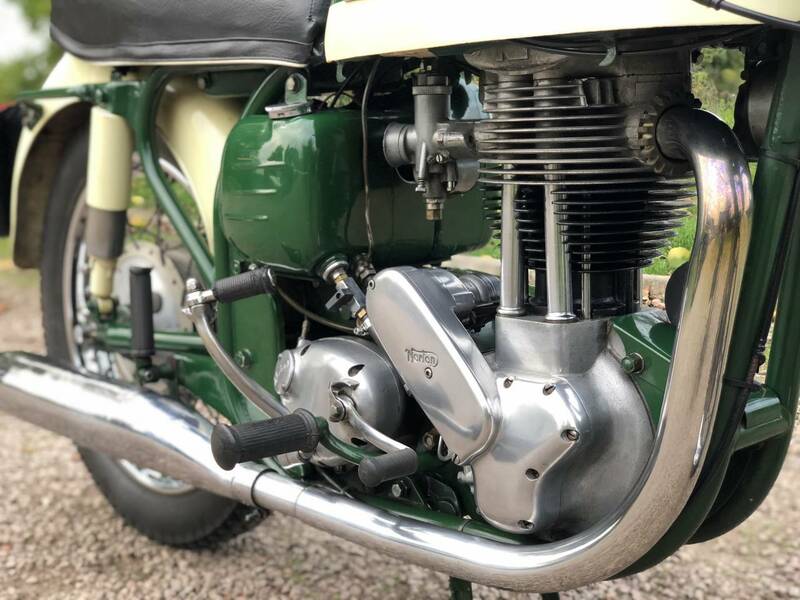 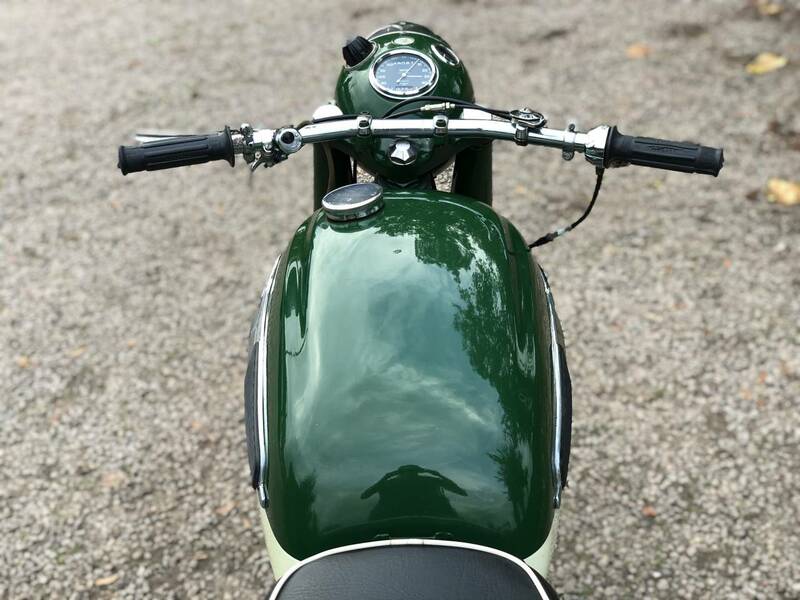 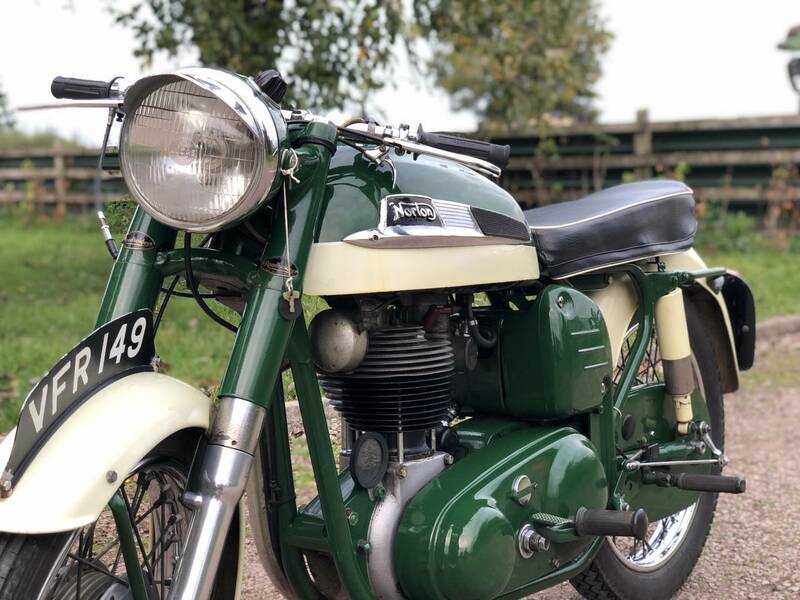 This Superb & Rare Example , Is In It’s Original Classic , Forest Green & Ivory Colour Scheme , With Matching Frame & Engine Numbers & With Only 1 Previous Keeper , Prior To The 73 Year Old Classic Bike & Car Enthusiast , Thats Just , Reluctantly ! 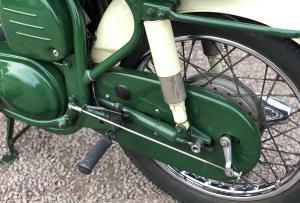 Parted Company With It & Only Because Of The Onset Of ‘ The Dreaded ‘ Arthritis ! 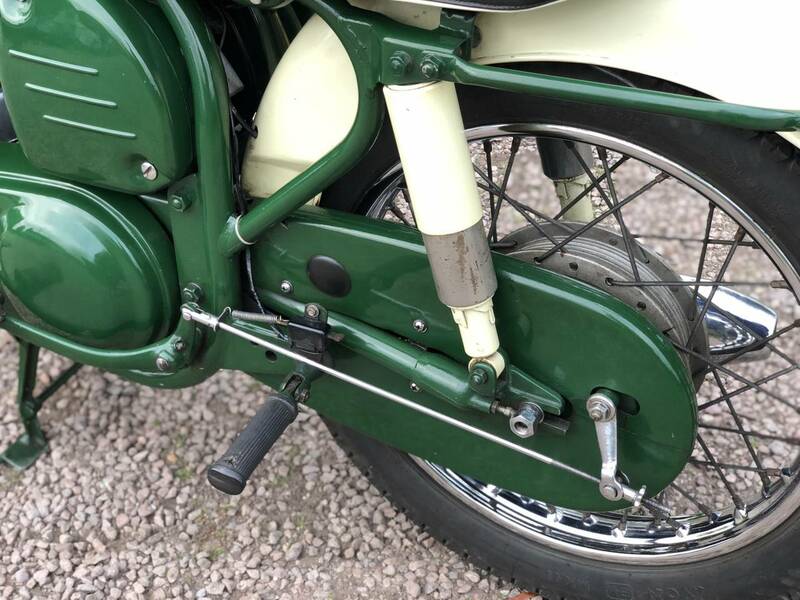 Mots Go Back 35 Years & Receipts Include A Recent Resleeve , Back To Standard Bore , New Exhaust Bronze valve Guide , Speedo Refurb & Other Relatively Minor Renewals , To Keep In ‘ Tip Top ‘ Fettle . 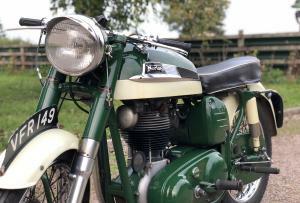 She Starts First Prod , With A Super , Mechanically Quiet Engine , That ticks Over Immediately , Revs Briskly & Is Very Powerful . 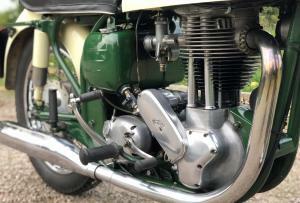 Updated With Electronic / ‘ Mag Style ‘ Ignition ; See The Pics & Video ; & Runs Like The ‘ Proverbial Swiss Watch ‘ . 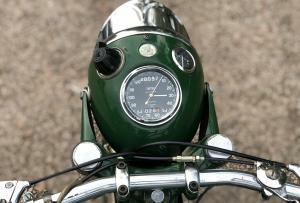 You May Want To Move It Onto Your Honda VFR , If You Have One ! 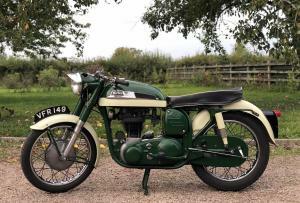 A Really Well Sorted & Extremely Well Maintained & Now Scarce Example , Thats Mot & Tax Exempt , With Cheap Classic Insurance Status . 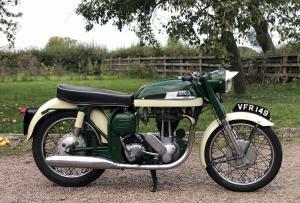 If you like Great Handling , Big Torquey Singles , Then This Will Fit The Bill! 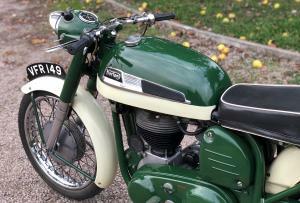 A Great Investment & Lots Of Reliable Fun Too .